Yeehaw! Anytime is a good excuse to slip on a pair of cowgirl boots. Whether teamed with dresses, jeans or shorts, the footwear is a fun way to accessorize your looks. Boots that walked the runway at Ralph Lauren’s 50th anniversary show (below) and worn by street style stars this New York Fashion Week have left Us feeling inspired to shop for a new pair. Our latest find, the Ariat Heritage Western R-Toe Boot (below) is made for easy styling. It has elements of traditional cowgirl boots with its scalloped top, detailing on the shaft and setback heel. To balance out the classic touches, it still has plenty of modern elements, including the all-black shade and a removable cushioned insole for added comfort. Shoppers noted that these shoes are comfortable fresh out of the box and that unlike other cowboy boots, these aren’t stiff. Others love that these go with virtually any outfit. One reviewer even said she plans on wearing hers to a bachelorette party in Nashville! 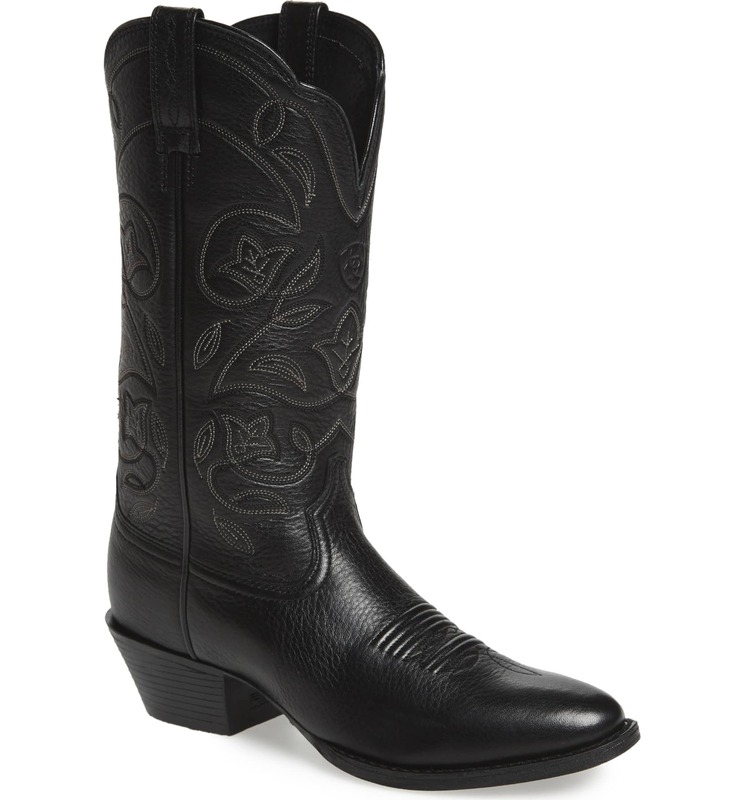 See it: Shop the Ariat Heritage Western R-Toe Boot for $149.95 at Nordstrom!